** OFFICIAL BALLOON WHEELS ** A selection of balloon polyurethane wheels with extra wide tread ideal for challenging terrain. Now with 20% off - use Voucher code BEACH20 at checkout! Ideal as beach wheels for wheelchairs, carts and trolleys. Choose from a range of sizes below to suit your application. ‘Go Anywhere’ in your own chair, simply add the WheelEEZ all-terrain conversion kit. Now 20% off - use voucher code BEACH20 in your Basket! Installing the kit is easy. Access your favorite beaches, parks, tracks and trails and also rural areas and much more with WheelEEZ. Go Anywhere with rthe all terrain and beach wheelchairs - now with 20% off if you use the voucher code BEACH20 at the checkout! **UK OFFICIAL SUPPLIER ** For 20% OFF - Use Voucher Code BEACH20 at Checkout. Glide over challenging terrains with our range of low pressure pneumatic wheels commonly known as ‘balloon wheels’ made by WheelEEZ. 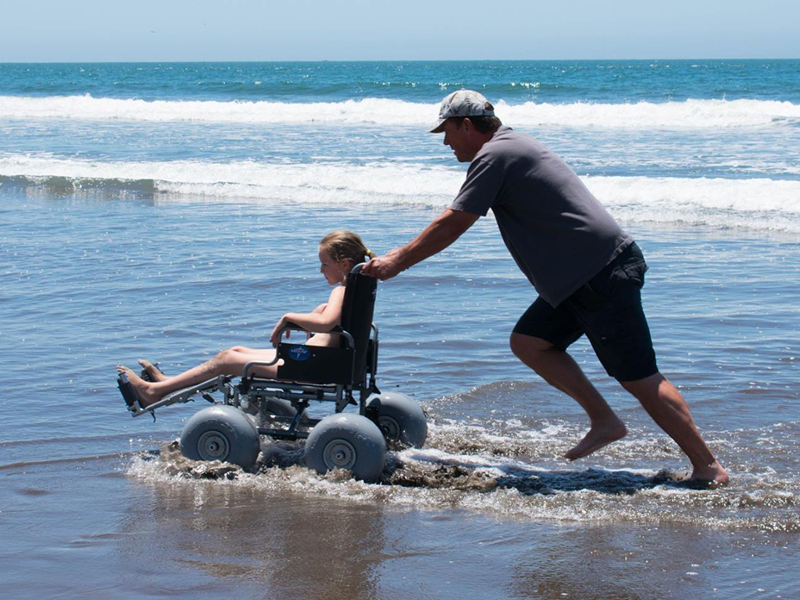 For those with restricted mobility create beach wheelchairs to make vacations more accessible or attach these balloon tyres to fishing trolleys or beach carts to make carrying water sport accessories such a kayaking easier.